On September 25th, we’ve got a show our Music With Friends, Houston Members will never forget…Join us for the Grammy Award-winning band with country and Latin roots, a long list of hits, and a sound unlike any other, The Mavericks! 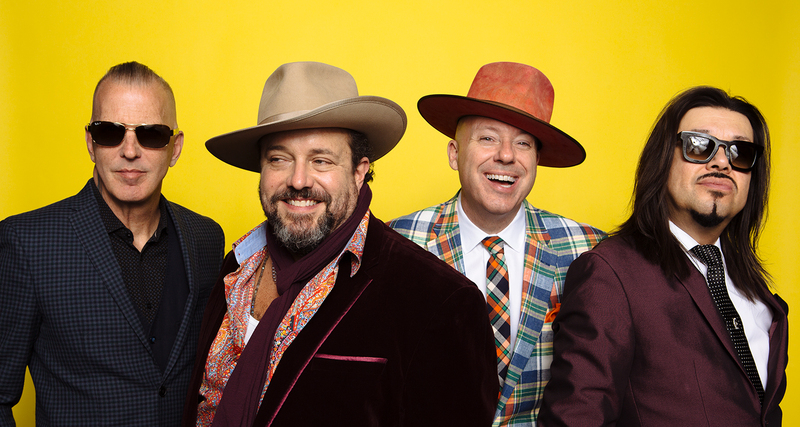 Founded in 1989 in Miami, Florida, The Mavericks have been defying genres and gracing your speakers for over 25 years. Since their start, they’ve kept busy nabbing a Grammy Award for the song “Here Comes the Rain”, and also scoring eight other Grammy Award nominations, an AMA nomination, multiple CMA and ACM awards, and even testing out solo endeavors before reuniting in 2012. Be ready for a high voltage show that is The Mavericks signature style—expect hits like, “All You Ever Do Is Bring Me Down” and “What A Crying Shame,” as well as some of their more recent, beyond-category tunes that tout their signature sound and showcase their diverse musical talents. So, join your friends Tuesday, September 25th at our beautiful new venue, The Jeannette & L.M. George Theater for a night of incredible talent, good friends, and legendary music. Please contact the Director of Membership with any questions.